It's already summer? That was quick. REI is making room for the new season with this Spring Clearance . Thousands of items throughout the store are up to 30% OFF. Clothing, footwear, sporting goods, camping gear, bicycles, luggage, watches, strollers, even kayaks are included. I recommend owning a kayak, by the way. You don't even have to use it - just stick in in the garage and people will instantly think you're a bit more extreme. But in a good way. 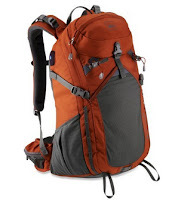 Click here to view the clearance deals at REI. Bonus: Spend $50 and get FREE shipping to your door.